What is the aim of this meet-up? 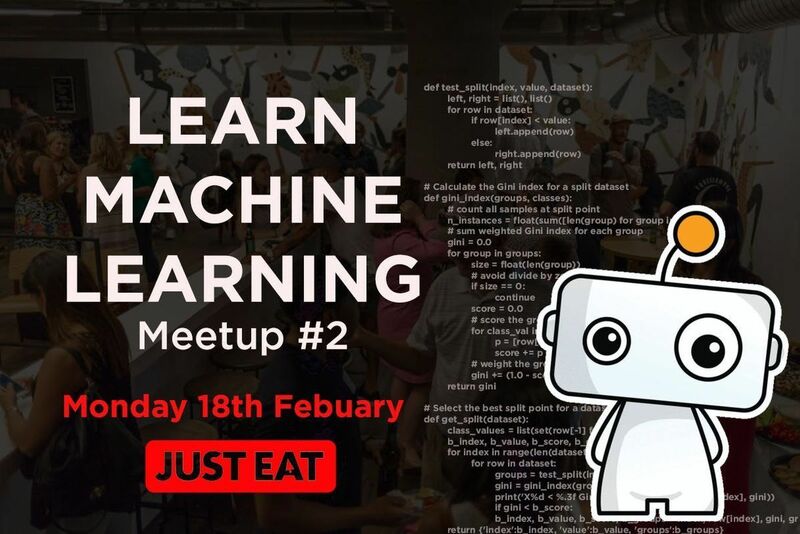 The aim of these meetups is to provide an environment for you to teach yourself machine learning. The idea is to do this by working through tutorials or Kaggle competitions. You will split into groups depending on what you want to work on. You can work as a team, individually or as a pair in these groups. Any ability is welcome. This is a self-lead learning course and is based on everyone helping each other. 6.30 Arrive & Meet others. Pizza will be provided by our sponsor Just Eat. 7.20 -8.45 Break into groups and work through Kaggle Competition or tutorial.